Here is Microsoft’s catalog portal for displaying all those lovely gadgets, utilities, tools and gismos that clever developers have created especially for Windows 8. Think of this as ‘Store’ rather than App Store. 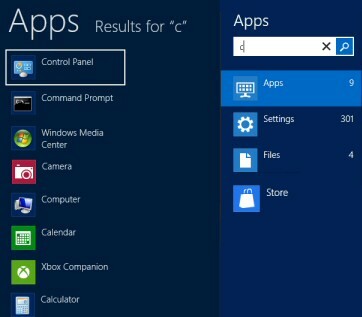 What is the Windows 8 Store Apps? Where Do You Find The Apps Store? 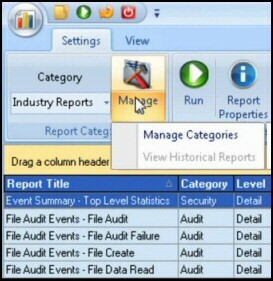 The Windows ‘Store’ is itself a Metro-style application. Indeed, it is has the same underlying WinRT APIs that developers use to build the apps that go into the Windows 8 Store. Just look for the Metro tile with a white bag, it often has a blue or orange surround. 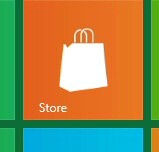 Alternatively, start typing: s t o r e. Click on the tile with shopping bag in the results pane. Google and Bing index the apps in the Windows Store. Incidentally, developers are allowed to link from their website directly into their app in the Windows Store. 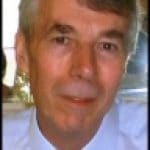 Semantics: What's in a Name? 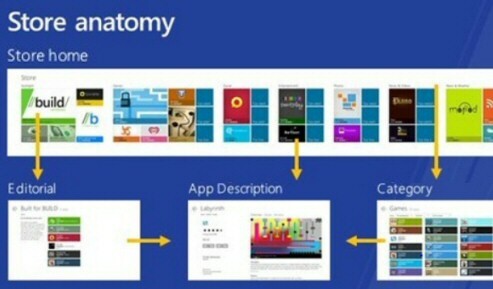 Soma Somasegar of Microsoft says that "Windows Store Apps" would henceforth be the official term for the apps. They were formerly called Metro-Style Apps. Microsoft has given its usual thorough research into user behaviour a preferences before rolling out its App store. The challenge is to provide relevant information without overwhelming the user. One result is that the landing paging will have portions displaying new information, while other areas will provide familiar navigational categories. The whole store has been overhauled to produce a slicker experience. What you get in Store 2.0 is handy sections: such as: Special Offer, New Releases, Top Paid, and Top Free. In Windows 8.1 the apps seem to run faster; furthermore, by default your apps now update automatically thanks to better push notifications. See more on Windows 8.1 features. From the Metro UI, launch the Store. Once inside the store [Key point] call for the Charms, I press WinKey +c. The result is 'Search' focussed on 'Store', see screenshot to the right. If you want more Apps by the same publisher, just type the publisher's name in the search box. Incidentally, I found WinKey +q the best way to search through the App Store. That key combination brings up the native Search focussed on ‘Apps’. Tip: Think of this as ‘Store’, forget the word App while searching for more gismos. Each app must have a unique name and have technical support. The program must be complete – no betas. However, trials are allowed. Apps can display adverts, but the promotional behaviour is restricted, e.g. not tiles or notifications. If it collects personal information, the app must use opt-in to make the details public. The app must respect Window system preferences, for instance it cannot turn on sound on muted machines, or by-pass Windows Push Notification Service (WNS) settings. The app must not compromise the operating system in anyway. No adult material, must not exceed, PEGI 16, or ESRB MATURE ratings. To remove ‘Seattle’, add your own location, THEN right-click your weather place and set as default. Only then can your right-click Seattle and delete. Press WinKey +c. The ‘Charms’ should appear, select Settings. Now (key point) look at the top for Weather, Settings. Now you can change the units. Check your screen resolution you at least 1024 x 768 to run Apps and 1366 x 768 to ‘Snap Apps’. You need a Microsoft account, and not a local computer account. While only free apps are allowed in the store during the customer preview beta, once Windows 8 launches developers can sell their wares at a minimum of $1.49, of which Microsoft take 30%, dropping to 20% once the developer has sold $25,00 worth. Incidentally, Google only take 5% on their Google App sales. Once you have bought an app you can install it on five Windows 8 devices. If you are thinking of buying more Apps, the ‘Free’, ‘Top’ and ‘New’ categories are always worth a look, and I am much more likely to buy if I have tested a time or feature-based trial. It’s often worth examining the spotlight section, which is another similarity with apps on the Windows Phone. If you are contemplating buying then each app has an overview indicating if it will run on ARM, 64-bit or just x86 processors. 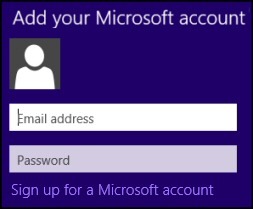 The best way is to sign on with same Microsoft Account that you originally used to buy the App. Search for the App, click Install. Remember that you can install an App that you purchased on up to 5 computers. It seems to me that Windows 8 Apps often have updates. Keep your eye on that number at the bottom right. If you click on the store, then you will see 'Updates (7)' at the top right. Naturally, the number of updates is not always 7! And if you don't see a number then your apps are all up-to-date. Microsoft's guidelines say that only the default (IE 10) browser can access/participate in the "Metro style experience". Windows 8 offers integration of apps with SkyDrive. The ideas is that you can open and save any apps files to SkyDrive. For this to work you need to register the Live ID email address, thereafter when you save files to your SkyDrive account, any of your Windows 8 devices will have access to those files. You can inspect the local copy of your files at %userprofile%\SkyDrive. 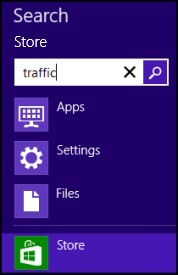 If you need to search for Windows ‘Apps’ – just start typing at the Metro UI start screen, in the results you will get a list containing both Apps and traditional programs. Naturally, if you want more Apps then head for the Store. I would regard Vista’s sidebar a grand-parent of the App Store, but clearly there is a very strong resemblance to Windows Phone apps, which in-turn was inspired by Apple’s Mac App Store. If you remember, Vista’s Sidebar was a panel where you could add applets or ‘Vista Gadgets’. Battery life on laptops and tablets is clearly the driving force behind energy efficiency, nevertheless quieter, cooler and lower electrical bills are also appreciated on desktop machines. What do Windows 8 Apps bring to this party? Actively running in the foreground. Performing a defined background activity, for example, collecting email, synchronizing, or playing music. Here is my review of Microsoft's app store. It shows you how to get started with the catalog portal, gives an explanation of the specification, and provides examples of the main categories of these neat gismos.